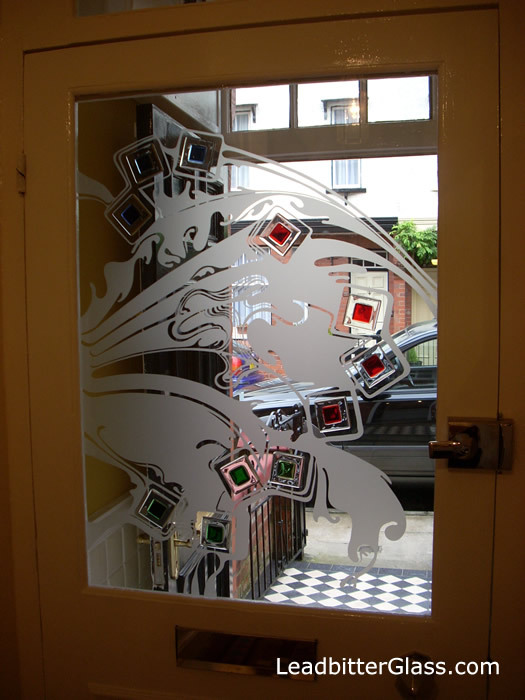 This contemporary glass door design was created for Mr & Mrs Tregoning from York in July 2010. 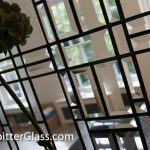 The design was made by incorporating 2 of our decorative glass products into one piece of glass. 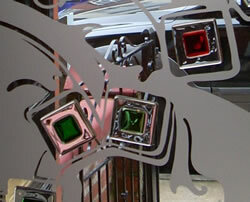 An Etched Glass wave was used as the background to the design and 11 coloured 60mm Fused Glass square tiles were bonded to the glass to create the coloured sections of the design. 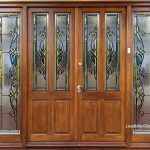 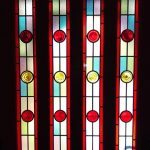 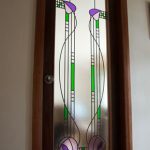 The door glass was ordered to replace an old piece of glass from a wooden door that was being renovated so a single glazed piece of glass was requested. 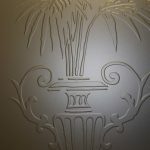 To protect the etched area of the design from staining and finger marks we used our nano protective coating. 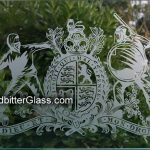 Single glazed etched designs are often ruined by fingerprints and similar stubborn marks but our protective etched glass coating is the perfect product to keep the design looking as good as new in years to come. 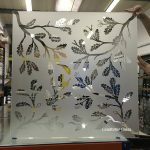 Once Mr & Mrs Tregoning took delivery of their new glass, they ordered a second door glass panel from Leadbitter Glass and this design will be featured in our gallery at a later date. 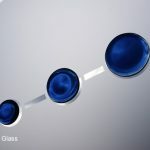 View the original ‘Client Page’ drawing. 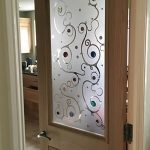 View a full height door version of this design here.